Arthur Ransome was born in Leeds on 18th January, 1884. He attended preparatory school and then later went to Rugby School (where he lived in Lewis Carroll's study room) but did not entirely enjoy the experience. Ransome was a reluctant student and although he attended Yorkshire College for a year studying chemistry, he abandoned the college and went to London to become a writer. There he scraped a living writing stories and articles for various literary journals. In the summer of 1913 he was commissioned to write an English guide to St Petersburg and then, with the outbreak of the First World War, Ransome was recruited by the Daily News to report on the Eastern Front. After the Russian Revolution, Ransome remained in the country and became friendly with Vladimir Lenin and other Bolshevik leaders. His reports provided a sympathetic view of the revolution and when he arrived back in England in 1919 he was arrested by the police. After being interviewed by Sir Basil Thomson, Deputy Commissioner of the Metropolitan Police, Ransome was released having convinced the authorities that he was not a communist revolutionary. While in England he wrote Six Weeks in Russia (1919), an account of the revolution and an explanation for the signing of the Brest-Litovsk treaty. This so upset the Foreign Office that they refused him permission to leave the country, and it was only with the help of C. P. Scott, Editor of the Manchester Guardian, that he was able to get his passport back and return to Russia. For the next five years Ransome reported on Russia for both the Manchester Guardian and the Observer and also wrote the book, The Crisis in Russia (1921). In 1924 Ransome married, Evgenia Shelepin, Leon Trotsky's former secretary. Together they returned to the UK and settled in the Lake District, living first in the Winster Valley. Here he became a friend of W.G. Collingwood, writer artist and secretary to John Ruskin. Collingwood lived at Lanehead, beside Coniston Water. Ransome's favourite childhood book had been W. G. Collingwood's Thorstein of the Mere, which was set around Coniston. In 1929 Ransome began writing novels for children, including his best known book Swallows and Amazons. Although not immediately successful, his books eventually became best-sellers and are still loved today. In Rod and Line he collects together fifty fishing articles he'd written for the Manchester Guardian, exploring a wide range of angling experiences, from the morality of nymphs, to fishing inns, fishing in Lilliput, carp, chub and even how to make spinning interesting. The book is one of angling literature’s great classics. Arthur Ransome died on 3rd June 1967. In 1990 the Arthur Ransome Society was started to celebrate both Ransome's life and his work. 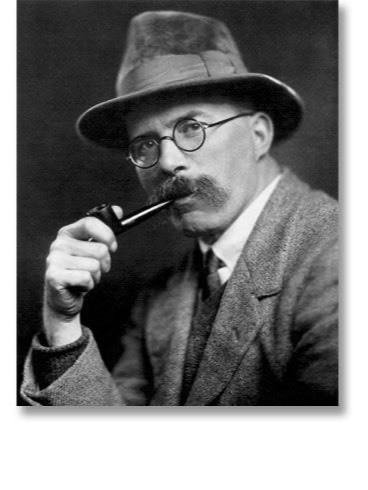 Keith Harwood’s 2014 book Fish & Fishers of the Lake District includes further information about Arthur Ransome.